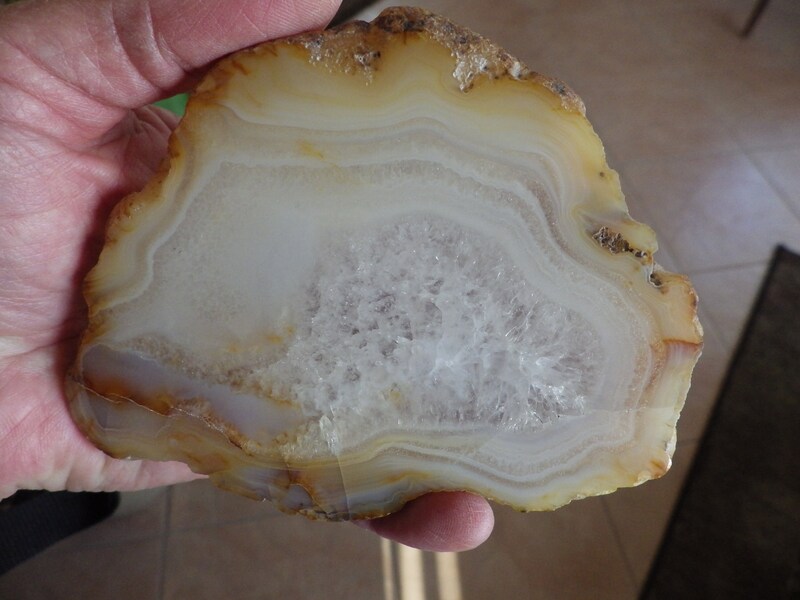 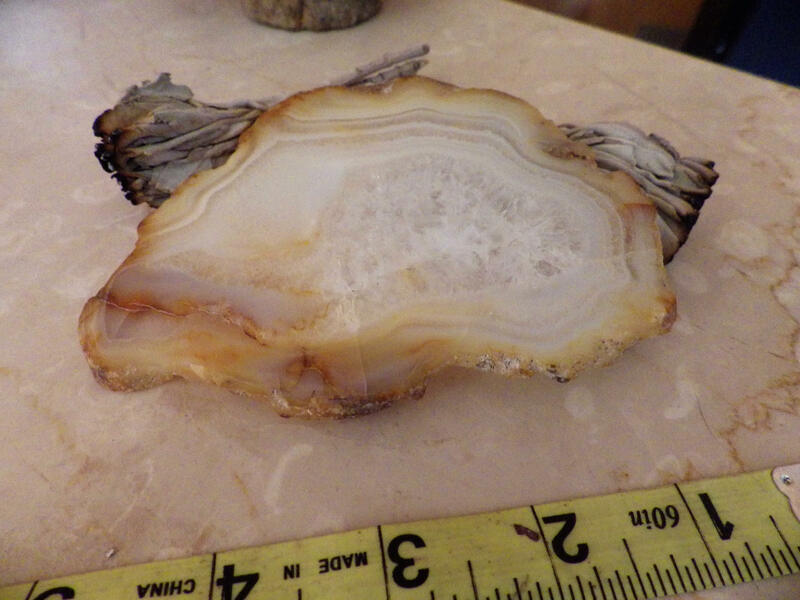 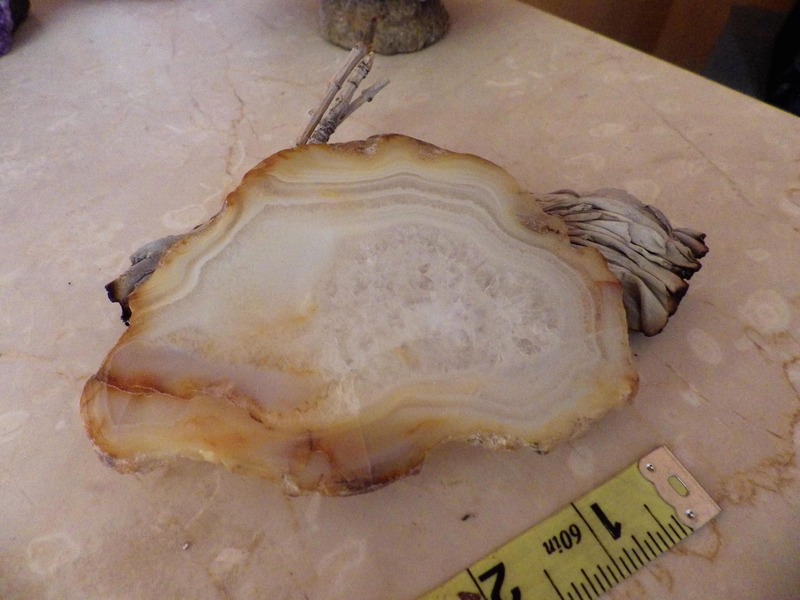 The qualities of Chalcedony make this slice the perfect platform for arranging your stones for small sacred energy spaces. 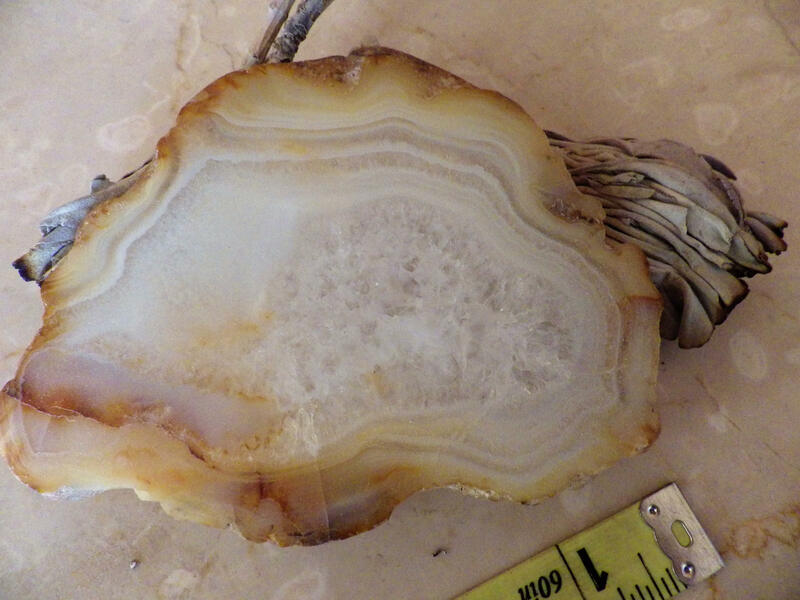 Chalcedony is a nurturing stone that promotes brotherhood and goodwill and will enhance a groups stability. 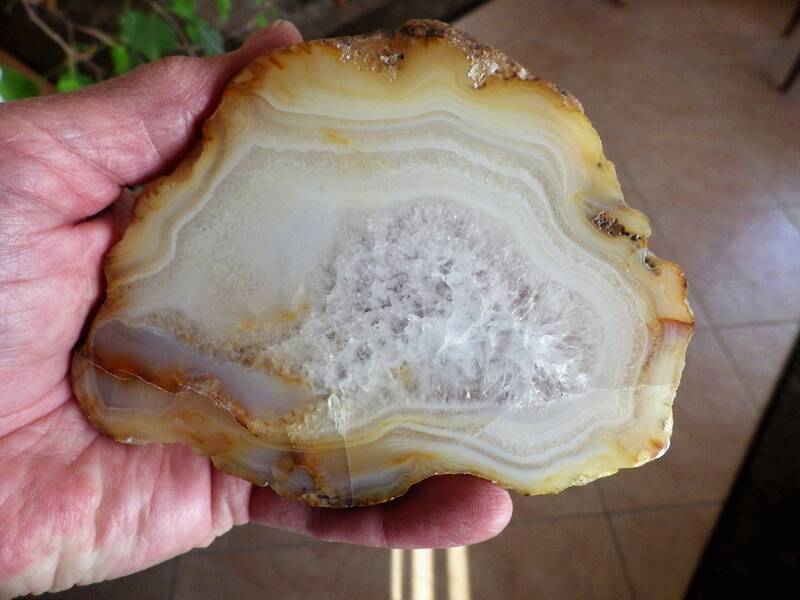 It can be used for telepathy and transmission. 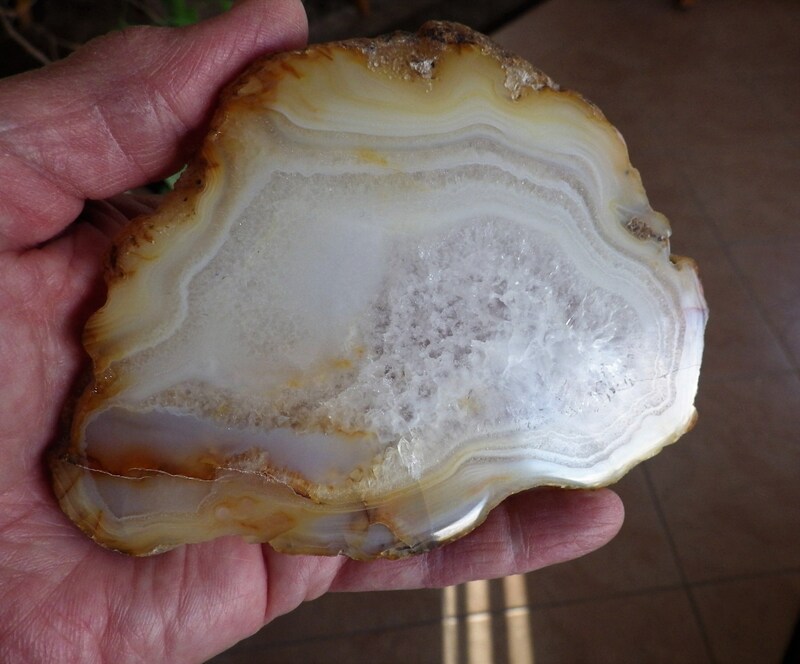 This stone absorbs negative energy and then dissipates it so that the energy doesn't move to someone else.